Amid the snow capped mountains of the Alps, in the French region of the Haute Savoie, is the perfect opportunity to buy beautiful St Gervais les Bains property for sale. This picturesque town of St Gervais, or, in full, St Gervais les Bains due to the local thermal baths, offers a chance to buy property in a dramatic landscape famed for its winter sports, while offering the very best of modern facilities and easy links to the outside world. St Gervais les Bains property truly offers an opportunity to enjoy the best of the Alps whether in winter for skiing and winter sports, or in summer for the beautiful landscapes and natural beauty of the area. The Valee Mountjoie consists of two major areas, St Gervais in the north and St Nicholas de Veroce in the south. The whole valley rings with the echoes of the past, and flint tools discovered in the area, dating from around 3000 BC, bear witness to the long history of human habitation amid the snowy peaks and dramatic alpine landscapes. Unlike many other purpose-built ski resorts, St Gervais les Bains offers a true window into the long history of the area. 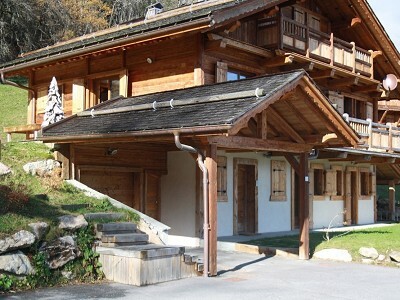 St Gervais les Bains property for sale situated within the town of St Gervais can be found within a beautiful, predominantly 19th century, spa town at the foot of Mont Blanc, the highest point in Western Europe. The town is set in a dramatic river gorge between Megeve and Chamonix and is part of the Pays de Mont Blanc- considered to offer the most varied skiing and the most breathtaking snow blanketed landscapes of any ski area in the world. The area offers a phenomenal 125 ski lifts and 500km of slopes, including the famous ‘Vallee Blanche’, considered to be the longest ski run in the world at an amazing 23km. St Gervais is linked to the 300km ski area of Megeve, with direct access via a gondola. Amid the breathtaking views of Mont Blanc, the area offers a wide variety of slopes for all standard of skier and specialises particularly in catering for snowboarders, boasting one of the best snowparks in the region. Of course, there is always expert tuition on hand, and guides available to help skiers explore the untouched snows that can be found off piste. 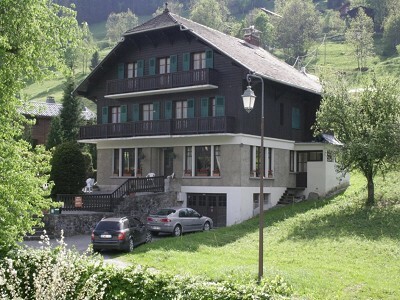 In addition to the excellent skiing and snowboarding that the area has to offer, St Gervais les Bains property for sale can also be used as a base to utilise the facilities available for other winter sports, such as snowmobile hire, snow-shoeing or cross-country skiing through the vast snow-covered landscapes. There are over 25km of marked track for cross-country skiers through beautiful alpine forests and serene mountain passes. St Gervais itself is one of the true gems of the Alps. The long history of the area has resulted in St Gervais les Bains property for sale being located in a picturesque alpine town that is full of traditional character. Unlike many other towns in the Alps that are simply resorts, St Gervais is inhabited year-round and boasts a wealth of beautiful buildings with a vibrant feel whatever the season. In the heart of the town, the beautiful Baroque church dates from 1698, while the nearby dual-screen cinema and casino seamlessly blend the historic with the modern. The traditional market is still held every Thursday, whatever the weather, and offers a variety of goods and stalls. In addition, there are also a wide range of shops, bars, nightclubs and restaurants that cater for locals and skiers alike. St Gervais is a shining example of the advice to ‘go where the French go’, combining excellent ski facilities with a traditional French market town, and, away from the crowded destinations that are a Mecca for British tourists, there is a good selection of St Gervais les Bains property for sale. One of the main attractions of St Gervais are the ancient thermal springs located slightly lower down the hill in Le Fayet. It is still possible to find St Gervais property for sale in this area, and, with a variety of spa treatments, pampering facilities and bathing opportunities, the property for sale in this area caters for those that truly know how to relax after a hard day of fun on the slopes. The annual festivals held in or near St Gervais should not be missed, and include events such as the torch-lit procession of New Years Eve and the Mont Blanc festival held in March. Being so close to the mighty Mont Blanc, the backdrop to all St Gervais les Bains property for sale, the breathtaking Mont Blanc Tram is a must for all visitors to the area. Leading to the Bellevue plateau and the Prarion ski area, which offer some of the best panoramic views in France, the Mont Blanc Tram is the highest railway in France. The tram runs year round allowing access from the St Gervais les Bains property for sale to some of the most spectacular skiing in winter, and hiking and mountain biking in summer, that the Alps have to offer. Other activities in and around the town include a year-round indoor swimming pool, and an ice skating rink, which also offers the chance to try the Olympic sport of curling. The ice rink is the home of the Mont Blanc Hockey club, and there are often exhilarating matches to be seen, including a good number of international games. For younger visitors, the local leisure centre offer a wide variety of children’s clubs and activities, ranging from mini-golf to igloo making and, of course, specialist ski tuition. In summer, St Gervais is transformed from a sleeping white wilderness to a landscape teeming with wildlife, alpine forests and wildflower meadows. The nearby Parc de Merlet in Les Houches is a particular favourite for animal lovers, with 20 hectares of untouched natural landscapes, including dramatic waterfalls, sparkling mountain streams and breathtaking gorges such as the Gorges de la Diosaz at Servoz. Hiking, horse riding and mountain biking routes are particularly spectacular, perhaps the most spectacular being the hiking route of the ‘circuit of Mont Blanc’ which is a long route linking the 7 valleys that surround the majestic snow-capped mountain. Some of the most dramatic areas of the mountainous circuit that may take up to a fortnight to complete (minibuses are often available to various points on the route from the St Gervais les Bains property for sale) include Trient in Switzerland, Les Contamines in France, and Italy's Aosta region. Other sports on offer include tennis, archery, paragliding, white-water rafting and mountaineering. Fishing in the crystal mountain streams is also available, and there are numerous sunlit alpine lakes suitable for either fishing or bathing. St Gervais les Bains property for sale can also be used as an excellent base for a golfing holiday, with two 18-hole golf courses in nearby Megeve and Chamonix. Though it is easy to become lost in the dramatic beauty of the alpine landscape, St Gervais is not as isolated from the bustle of the modern world as it would appear. The major airport of Geneva is barely an hour away, and Lyons, Chambery and Grenoble airports also offer direct flights from the UK. At the bottom of the mountain on which St Gervais property for sale can be found is the railway station of Le Fayet, from which runs a regular and efficient rain service. In addition, the famous Mont Blanc tunnel allows a surprisingly easy day trip to Italy. A ‘stone’s throw’ from St Gervais les Bains is the local town of Megeve where we also have property for sale. This exclusive resort with its numerous designer shops and top-class restaurants provides the opportunity for an interesting and exhilarating visit, whether for the skiing or the atmosphere of chic relaxation. The beautiful town of Chamonix also has good connections with St Gervais, and Annecy with its picturesque narrow, winding streets and bridges on the shores of the beautiful Lake Annecy is also worth a visit. In summer, Lake Annecy offers a wide variety of watersports. In winter, when using your St Gervais les Bains property for sale as a base for skiing, there are a surprising number of well connected ski areas to explore. In addition to Megeve, which is connected to St Gervais by a gondola lift, there are easy links to the ski areas of St Nicholas de Veroce, Chamonix with its more challenging slopes, Les Houches, incorporating the Olympic downhill slope, and the hidden gem which is Les Contamines Montjoie, where we also have property for sale. Situated between chic Megeve and Chamonix, this almost unknown ski area consists of the Tierces, Roselette, Montjoie and Hauteluce sections, each of which offer excellent conditions, thanks to numerous snow cannons, natural beauty and expert tuition. The two main villages of Les Contamines and l’Aiguille Croche and the natural ice rink sets off the area beautifully. Buying St Gervais property for sale is a fairly easy process with the help of a French notary. Under French law the notary performs all the paperwork, registers the property with land registry (bureau des hypotheques), ensures the exchange of all monies, and facilitates tax liabilities. An additional lawyer who is well versed in both French and English law typically charges around 1% of the purchase price.